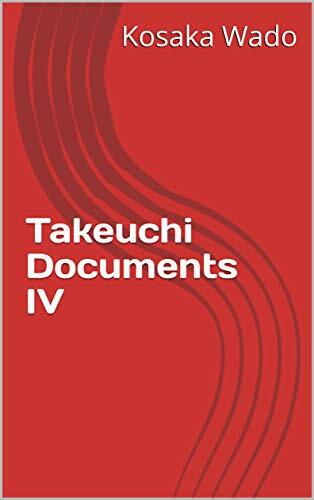 It is our privilege to share the wisdom of Takenouchi Documents on behalf of Wado Kosaka who is one of the prominent researchers of the Takenouchi Documents. In Japan, there exist ancient documents have conscientiously record the history of mankind and Earth. These documents are called "The Takenouchi Documents". More than 2,000 years ago, the Takenouchi Documents were rewritten by Takenouchino Matori (Hegurimo Matori) into modern Japanese characters Kana mixed with Chinese characters. The original documents were believed to have been written in Divine characters. The historical facts recorded in the Takenouchi Documents are extraordinary. Among them are the Sumera-Mikoto came to Earth from a higher world on Ameno-ukifune, the world government was located in Japan and the Sumera-Mikoto unified the world. The great holy masters of the world, Moses, Jesus, Mohammed, Shakyamuni Buddha, Confucius and Lao-Tsu were born from the five-colored races which branched off from the Japanese race and all went to Japan for study and training. These facts may seem absurd and contrary to our prevailing understanding of world history. 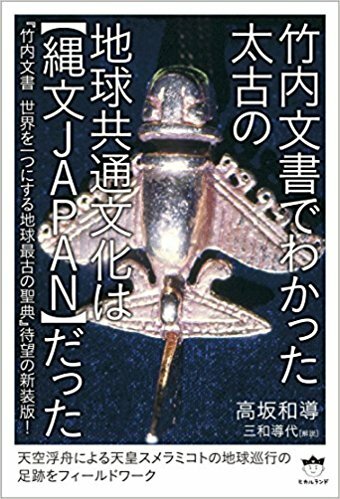 However, the archeological research of recent years has gradually revealed the true existence of ultra ancient civilizations which are all mentioned in the Takenouchi Documents.